Late last week, Comcast completed a promised upgrade to their On Demand television system. Customers with digital set-top boxes now have twice as many reasons to stay on the couch. Movie selection has doubled – I counted over 190 free films, though some, like “Sahara” and “You Can’t Take It With You,” are so old they’re practically in the public domain. The IFC offering is more cutting-edge, with brand-new indie films that open on TV and theaters on the same day. But these movies will cost you $5.95 each, though like all pay-per-view content, they can be watched for up to 24 hours. It’s not all good. The on demand music is overstuffed with Beyonce, 50 Cent and Ne-Yo, and doesn’t excite me much. It may be hip-hop nation, but I live in a classic rock county. Some other new stuff is just silly, like On-Demand Dating, which has 30-second video ads from lonely men and women. Try E-Harmony, kids. Move beyond that, however, and there’s a bevy of programming that may get you out of your chair. 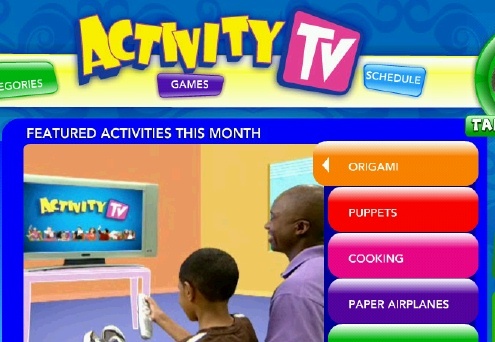 Activity TV, found on the Kids menu, offers lessons in juggling, puppet making, cooking and origami. This programming is also available on the activitytv.tv web site. On Sports, there’s an exercise channel with lots of 10-minute workouts, as well as the youthful SportSkool, which features how-to demonstrations in snowboarding and skiing (there’s a nifty little Bode Miller profile), along with baseball, soccer and skateboarding lessons from pros like Mia Hamm and Dontrelle Willis. Thursday: Tim Harrison, Middle Earth – This Canadian folksinger reminds me a lot of fellow countryman Gordon Lightfoot. 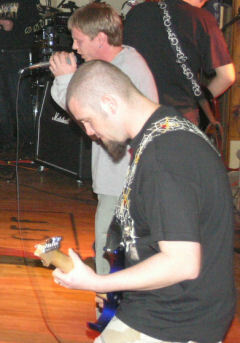 They both cover much of the same territory in their songs: the great and unforgiving wilderness, small quiet country towns, and geese – lots of geese. Harrison has won the attention of some of music’s more discerning ears, among them Daniel Lanois, who’s worked with Dylan and U2 (and produced Harrison’s last album). Friday: Last Kid Picked, Electra – This Newport band recently celebrated 10 years together; tonight, they head to West Lebanon. Give the litigious climate in the music business lately, I wonder if they’ll be looking over their shoulders when they play “It’s A Long Way To the Top?” AC/DC, after all, was one of the plaintiffs in that recently Vail nightclub suit. Saturday: Hexerei & Transcent, Imperial Lounge – Music lives on Washington Street, despite the flight of Bistro Nouveau to greener pastures. Hexerei is very close to releasing their third album; Transcent’s combination of passion and technical proficiency so impressed me recently, I managed to garble their lead singer’s name in my review. For the record, it’s Mike Boucher. Sunday: Spookie Daly Pride, Pickle Barrel – A raucous four-piece band from Boston that combines elements of hip-hop with loose, fun rock and roll. They remind me of Oingo Boingo before the movie soundtracks, or a caffeinated Squirrel Nut Zippers. For a clue of how ubiquitous they are, they’ve opened for everyone from Bela Fleck to Busta Rhymes. Monday: Bob Weir & Ratdog, Capitol Center – The Grateful Dead side project that evolved into a full-time gig for Weir, though long-time bassist Rob Wasserman is gone (the two still play as a duo every now and then). With classic Dead songs like “Throwing Stones” and “Truckin’” combined with solo gems – “Cassidy,” “Mexicali Blues” and “Playing in the Band,” to name but a few – this should be a fine show. Tuesday: Longford Row, Salt hill Pub – The members of this Burlington-based Irish trio, led by Gerry Feenan of Trinity, bartered tickets to the Saw Doctors’ Lebanon Opera House show in exchange for their services tonight. With any lucky, they’ll be able to serenade the objects of their adoration later. The band stopped by for a pint or two the last time they were in town. This set marks the resumption of the much-loved weekly Irish Sessions, though the next one will begin earlier.